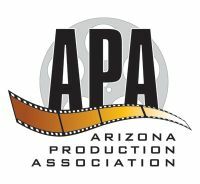 Arizona Studios features two of Arizona’s largest sound stages with large cycloramic Green and White Screens and competitively priced full and ½ day rates. Amenities included in your sound stage rental are assisted lighting set up, in studio stage manager, ice cold a/c, conference room, hair/make-up room, small kitchenette area and free Wi-Fi. Loft 19 is a 15,000 sq. ft. production facility located in north Phoenix which includes two cycloramas and a 40 x 70 open shooting and set build studio. They feature lobby, loft lounges, conference, kitchen, dressing rooms and makeup stations, clothing prep and green rooms with wi-fi, surround sound and video and photo production gear. 231 N. Alma School Rd. Great studio/stage and we're very flexible and easy to work with! 18' ceilings, seamless hard cyc, camera equipment, lighting grid, huge green wall. Two sound stages (56’x44’ & 56’x39’), a two-wall infinity cyc (36’x25’x12’) that comes pre-lit, an audio recording facility, and so much more. Even a 150 seat theater with professional projection & surround sound. Coming to town and need a production office? We have more than 17,000 sqft to accommodate you. VR tours and plans available on web site! 17602 N. Black Canyon Hwy. Studio A (43X34), & Studio B (23X28), all complete with Cyc, camera (4 HDC 1400),Teleprompter, grid lights and grip equipment. Control Room includes Monitor Wall, MVS 8000 Switcher, HDR, Chryon LEX2 Duet, Vyvx Digital Fiber Line, and GL2800 Audio Console. Separate Green Room, MU/Ward, Dressing room (shower) and Full Kitchen (cold). Meat Cleaver Studios is a full-service production studio located in downtown Chandler. Our 1135 sqft. studio facility boasts a large 3-wall cyc, pre-lit with bi-color LEDs – the ideal space for your next shoot. Modern office spaces are also available for rent, great for meetings and corporate shoots. Contact us today to schedule a tour. Arizona's first television studio includes greenroom, dressing room, shower, access to lounge & conference room. Conveniently located downtown. Reasonably priced. Call for details! SNEAKY BIG offers a state-of-the-art 4,000 sf sound stage with 20-tons of silent A/C and floating floor. Our facility is perfect for multi-camera and live TV shoots, commercials, music videos, film projects and more. Our full-time crew is ideal for all of your production and post needs, including animation and motion graphics. Make magic here!